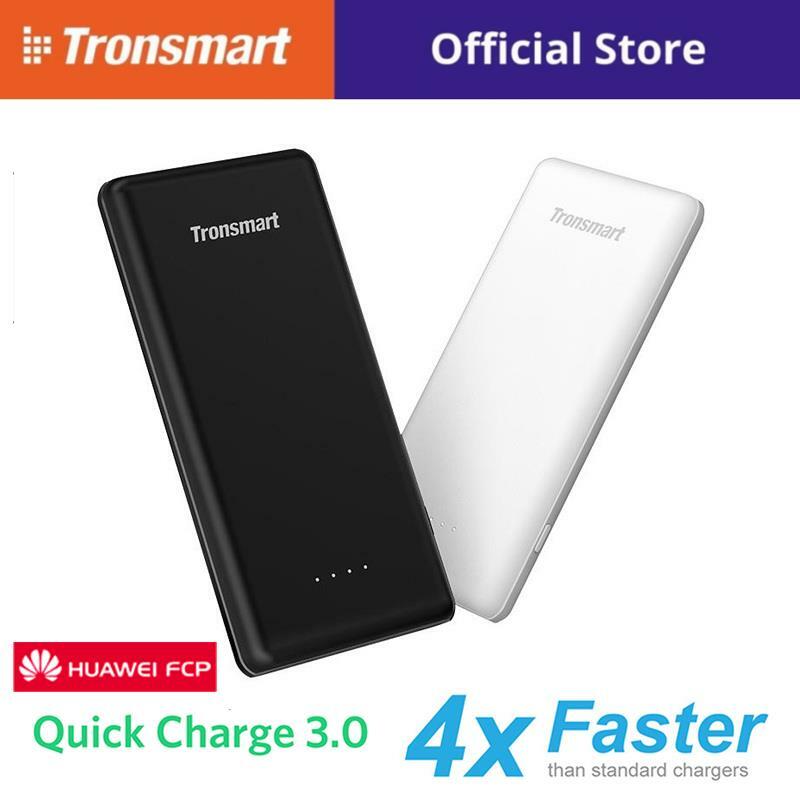 25 month warranty/ Quick Charge 3.0 and Huawei Fast Charge/ Slim and portable..
which can deliver 4X faster charging speeds. 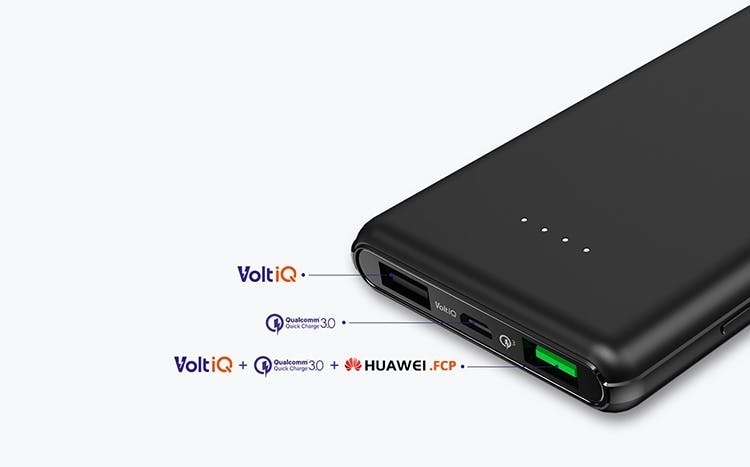 Most significantly, it supports Huawei FCP fast charging technology. 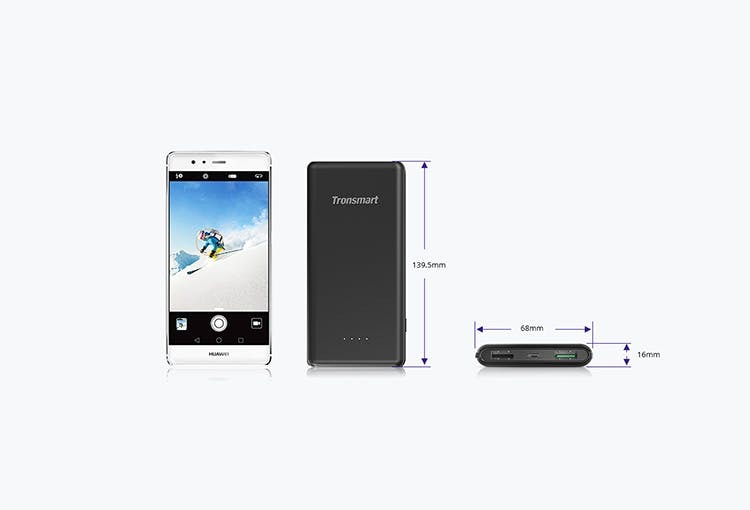 The Tronsmart Presto is a small yet powerful power bank. It offers a Micro-USB port for Quick Charge 3.0 recharging. 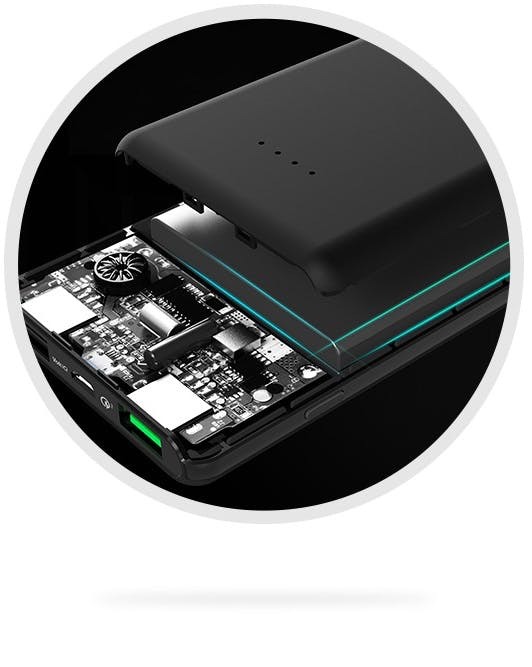 The green port has Quick Charge 3.0, VoltiQ and FCP technology while the black port utilizes VoltiQ. while reducing weight by up to 20%. Our Li-Polymer battery is considerably safer and more efficient across all product categories. This means Tronsmart products achieve a highly precise resistance capacity while charging/discharging. 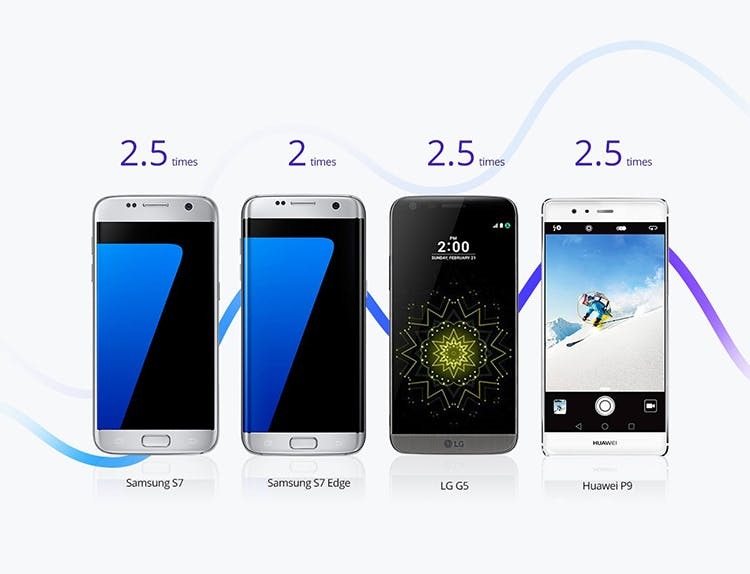 allow each device to be exceptionally durable. 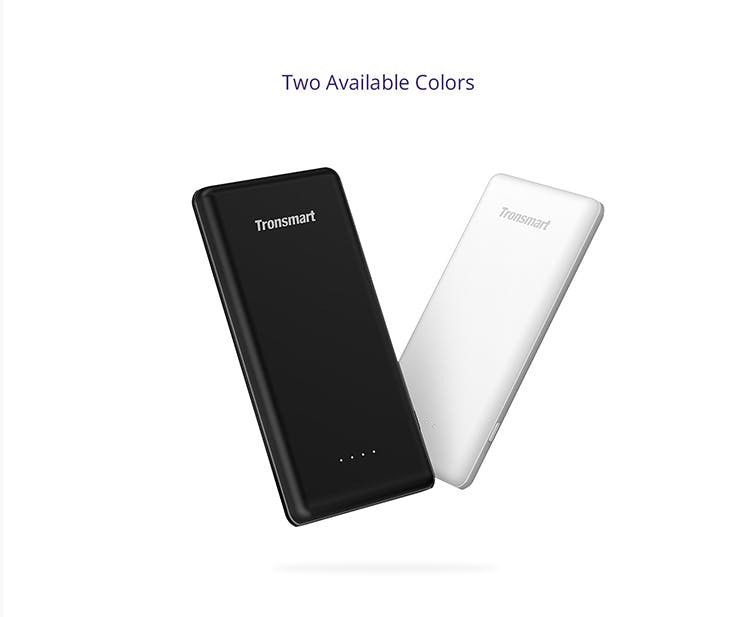 Premium lithium-ion polymer battery celss add 10000mAh of battery life to your smartphone, tablet or digital camera. 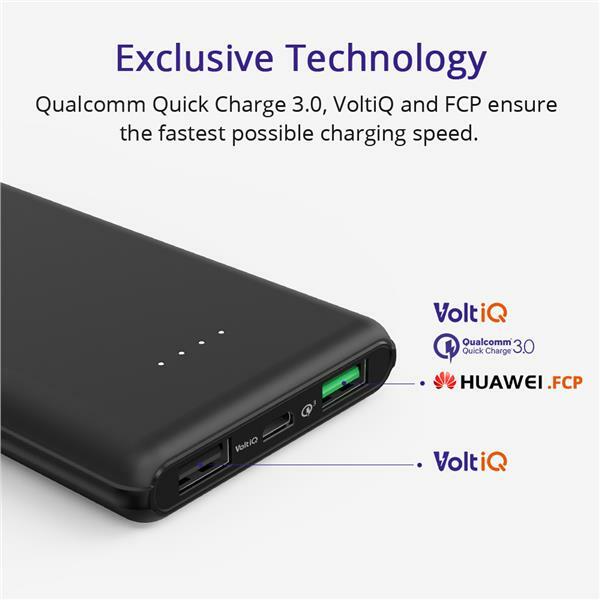 Compatible with Qualcomm Quick Charge, Non-quick charge and FCP enabled devices. The green port combines Quick-Charge 3.0, VoltiQ and FCP technology into an integrated whole. 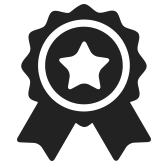 VoltiQ technology is adopted to the black port. 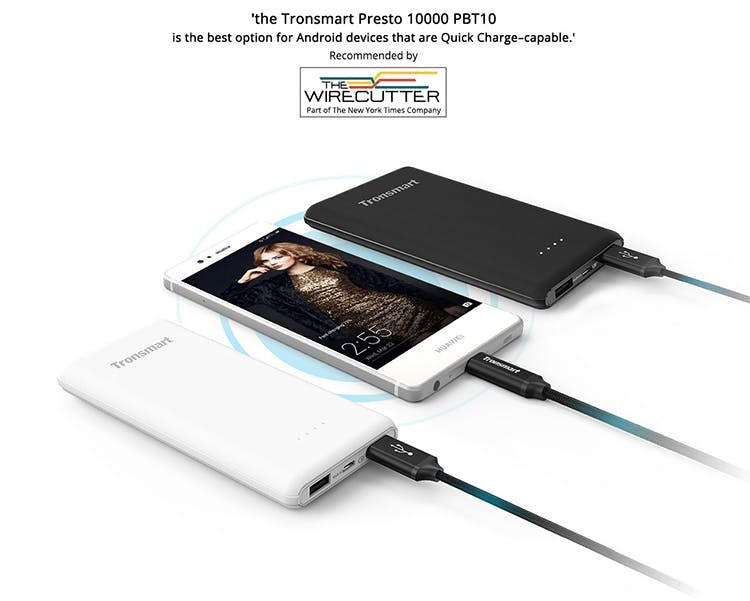 The Presto 10000mAh provides users with a universal charging solution. 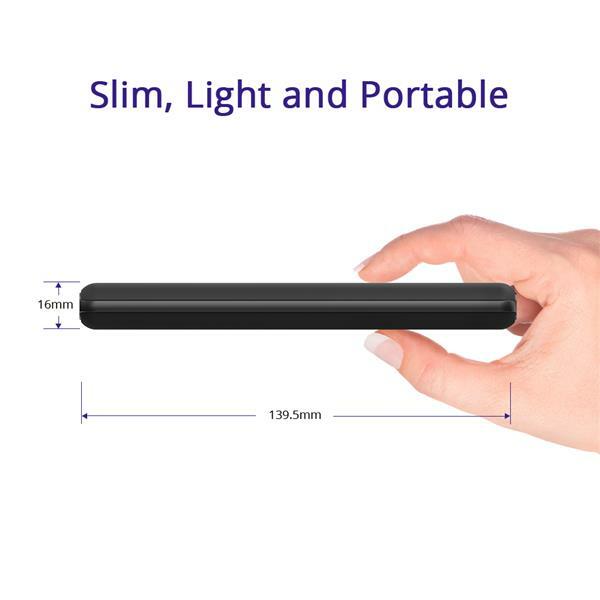 Much smaller than other power banks of the kind. No others pack into their compact housing as many recharges at a speed on par with this one. Smooth ebony varnish with 4-LED battery level indicator, 100% safe circuit protection; charger automatically shuts down if short circuit or overload occurs. 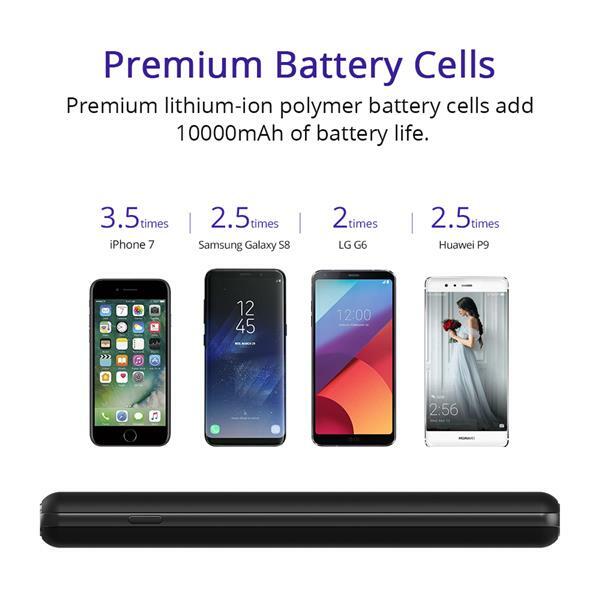 Compared with other batteries, the one that our Presto comes with brags a capacity increase of up to 30% besides weighing 20% less. Our Li-Polymer battery is considerably safer and more efficient across all product categories. 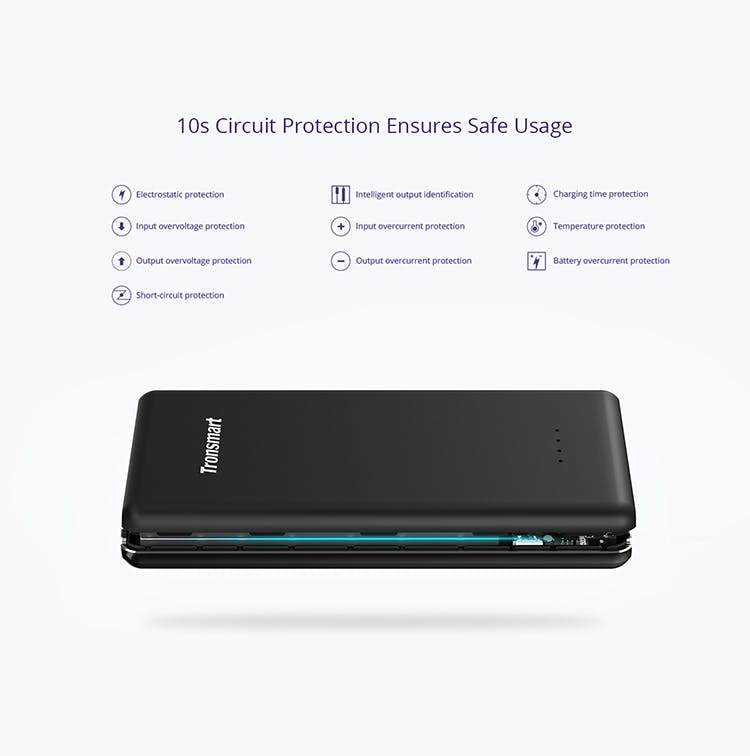 This means Tronsmart Product achieve a highly precise resistance capacity while charging/discharging.This makes our design method much better than standard generic mobile power banks and allows each device to be exceptionally durable.